You decide that the time has come to face the inevitable. Your business needs a video. Every where you look people are staring into their smartphones and engaging with the online world. You know that if your business does not have a presence here you will loose out to your competitors, who almost certainly will have a video. So you take the steps to get your video done. Anyone with a decent smartphone can shoot a video to a pretty good standard [just remember to keep it landscape!]. Voila! Your video is done! Phew you think to yourself. Glad that is all over with and now I will get loads of people checking out my video and my sales will increase. You upload it onto your website and sit back feeling delighted with yourself. You wait a few months and what happens? You get increased sales? Loads of enquiries? No. In fact nothing is what happens. You need to continue and get your video to work for you. Your business is fighting to be top of the pile and get noticed. This is why you got a video done. It explains what you do, your USP’s and all of those benefits you bring to customers. Its aim is to bring you new custom. The next logical step therefore should be to get it noticed. 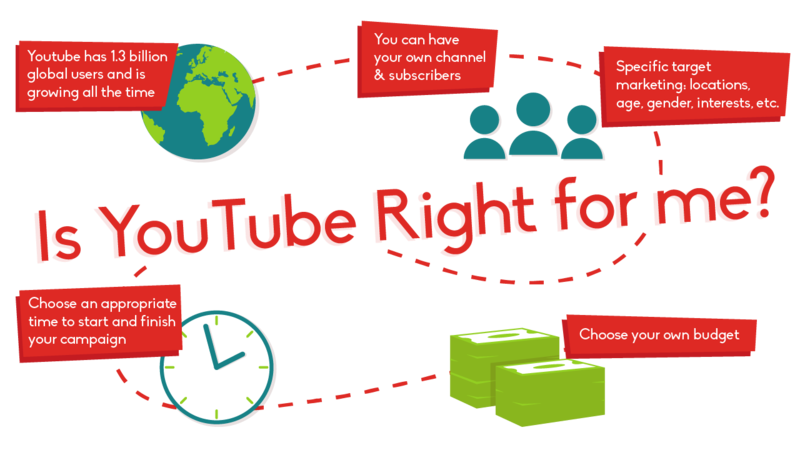 So, how does uploading your video onto a platform that has access to millions of potential customers sound? Where you might ask? YouTube of course! The image below relates to a video campaign targeting the UK & Ireland market. 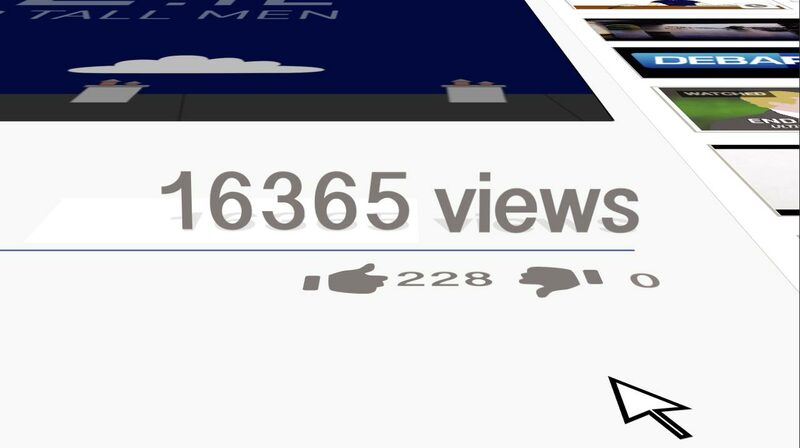 Within 10 weeks the video has been watched by over 17,000 potential customers. With a total outlay of only €176.25, it means that the campaign worked out at costing the client only €0.01 per view! Who could argue with that kind of value for money. In the next image we can see that the video had the most interest with people between the ages of 55 – 64. This feedback will help to realign future marketing material and campaigns. Overall 80% (14,100) watched the video to the first 10 seconds and under half (7,578) watched the full video (43 seconds). It shows that it is important to getting your message across early in your video. These are a small sample of the full analytics available from YouTube. You can access reports, traffic sources, devices used, engagement and more. If you want to measure the success of your video, you need to set some goals from the starting point. What are your objectives & goals? What are you expecting to achieve? Understanding what you want from your video is the only way that you can really measure the results. This is all part of your strategy. In the above example, apart from the obvious objectives of branding & marketing, the video campaign generated good conversion rates which resulted in increased online sales. This was the main goal. The more customers that visit your website the higher the click through rate (CTR). This in turn can generate higher conversion rates. (More sales!). Allows viewers to interact and engage – Builds trust and further relationships with customers. Increases traffic to your website leading to brand awareness and potential sales. Generate an international audience – Reaching specific geographic locations through multi-lingual videos increases your audience. How can Mersus Technologies help your business? So now you know why your video is useless without a strategy. At Mersus we make a point of ensuring all of our customers are aware of this all too often mistake. While other video companies provide you with video production, we go one step further with a video strategy. We will show you how to get the best out of your video, how to create your YouTube channel, how to analyse your results and how to make changes to get the best possible reach.